teaching citizen science, civic action, media and arts! and NYC bag fee passes! Thank you to Cafeteria Culture students who advocated for an effective bag bill! 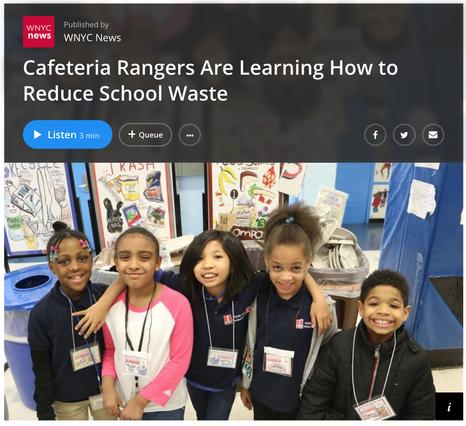 NYC Styrofoam Ban begins - students celebrate with Mayor and Commissioner from Cafeteria Culture on Vimeo. for healthy oceans, rivers, soil, wildlife, food, and humans! With the 5-cent fee on paper bags in NYC!! Watch "Litter Monsters" - made by 5th graders! 11 US school districts have done it. ​ ​Your school can too! ​Foam is finally banned in NYC! that the NYC ban could move forward! Thank you student advocates for taking action! NY State Bans Plastic Bags! Thank you, NYC students, for taking action! to encourage people to bring reusables. 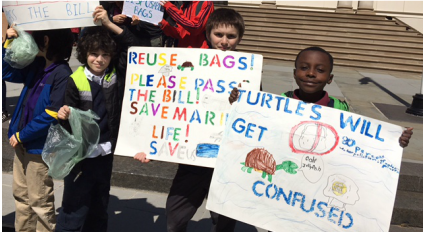 Tompkins Square Middle School student, Rebeca, asking NYC Council to vote "yes" for the bag fee (April 2016, City Hall). MS246 K Walt Whitman students, Shazia, Rachel, Nerlande, & Tiana, speaking personally and passionately on NYC plastic litter with NYC Councilmember Lander (April 2016, City Hall). CONTACT US to find out how to bring ARTS+ACTION to your school. 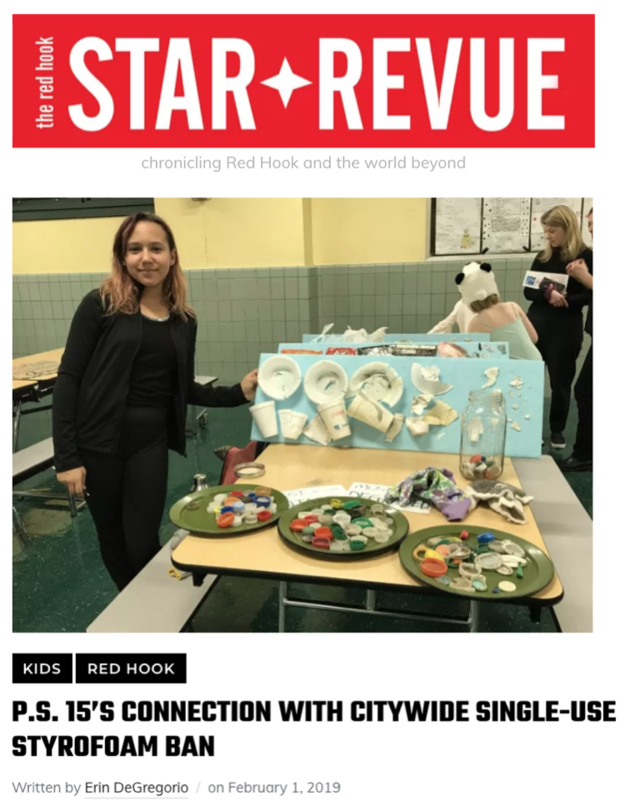 PS34 5th graders from ourARTS+MEDIA for Climate Action program take action on NYC's plastic bag problem, then TAKE ACTION here! The Story of Aliana and Joe - plastic in fish? 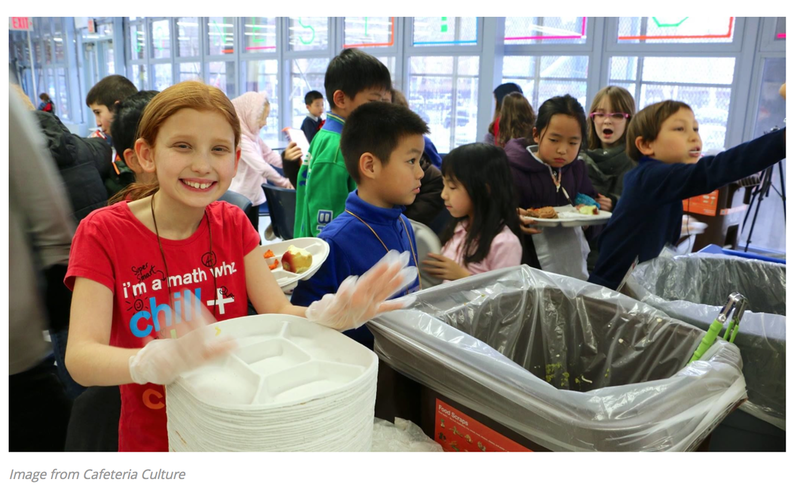 education, and inspiration to achieve more zero waste grassroots-led victories! "I like it because we're helping the universe and we're being responsible." 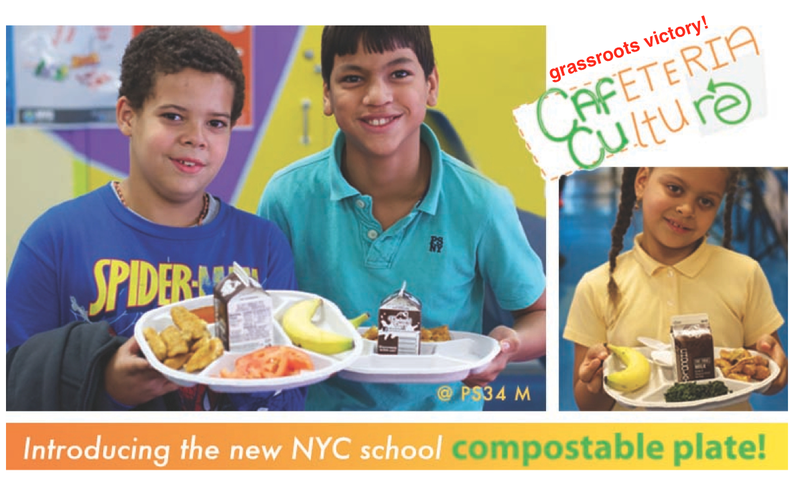 ​Mayor invites Cafeteria Culture and students from our PS 15 program to kick-off NYC Styrofoam Ban! 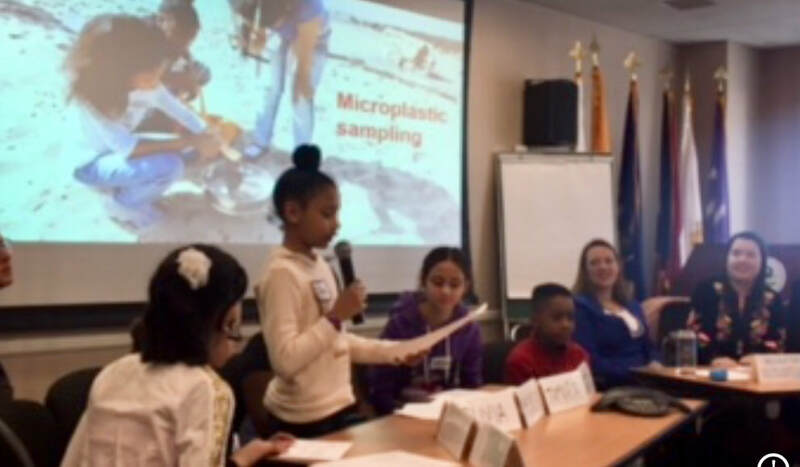 ​Fifth grade students from PS 15 Patrick F Daly testified at a New York City Council hearing on wastewater treatment. The US State Department and the US EPA invited Cafeteria Culture and our students to present to delegates from China on community-based, upstream solutions to reduce plastic street litter, which contributes to a rapidly increasing global marine pollution plight. Cafeteria Culture Executive Director, Debby Lee Cohen (above) and Media Director, Atsuko Quirk (below) presented at the United Nations Headquarters in NYC in June as part of the 17th Meeting of the UN Open-ended Informal Consultative Process on Oceans and the Law of the Sea (ICP-17) - Marine Debris, Plastics and Microplastics.